1.INSTRUCTION FOR SPRING BAR REMOVAL TOOL IS INCLUDED. The Spring Bar Removal Tool is used for changing the leather band. 2.DON’T PUSH THE NEEDLE TOO FAR. A. Use the spring bar removal tool to push out the spring. B. Push the needle 1-2mm inside the gaps. 3.WHAT DOES ”WATER RESISTANT 3ATM” MEANS ? 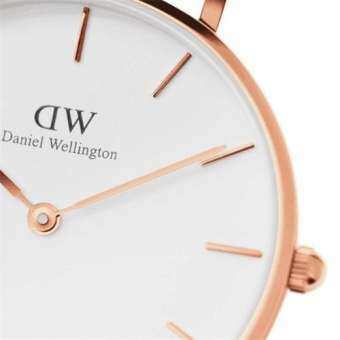 We recommend that you do not use your Daniel Wellington watch in contact with water, although it’s protected in everyday life like accidental splashes, car washing or wash up dishes etc. – It is resistant against perspiration, water vapor and rain drops. Water resistant = “accidental wetting”.